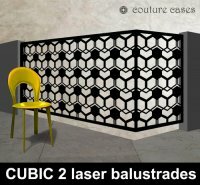 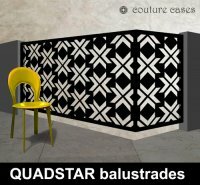 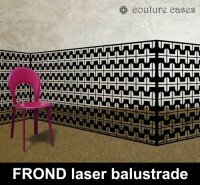 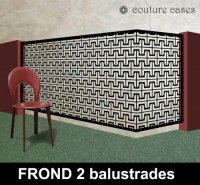 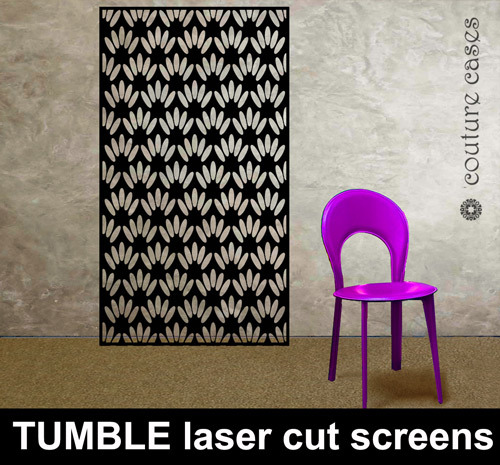 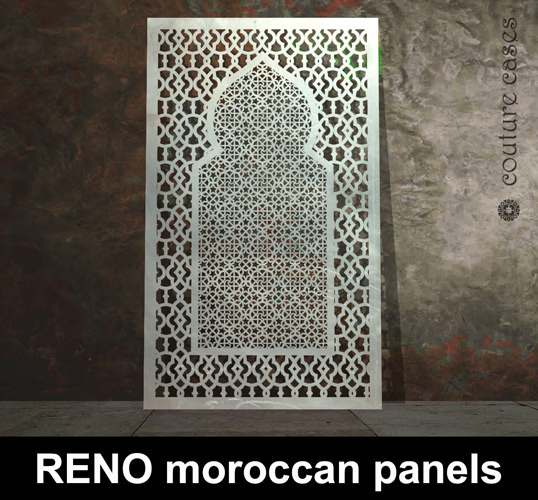 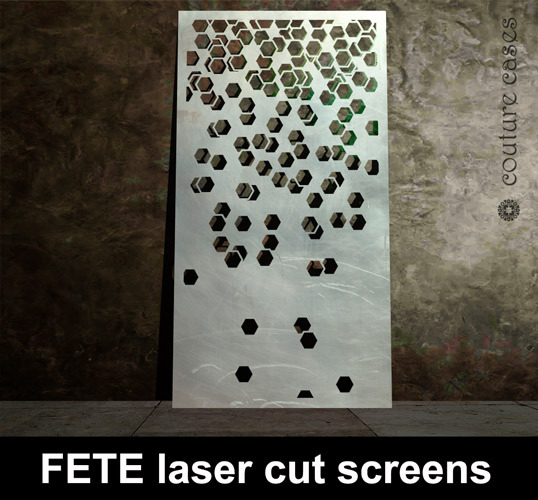 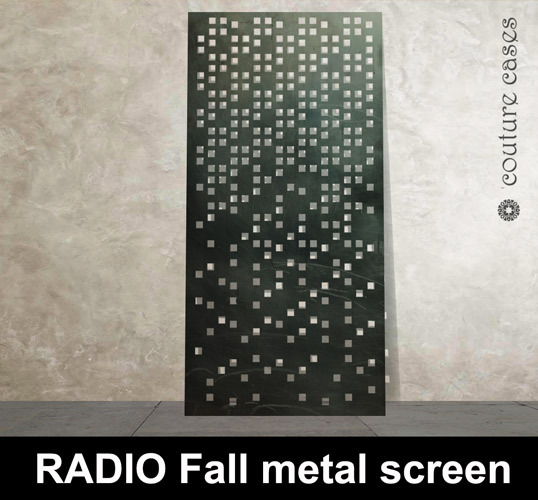 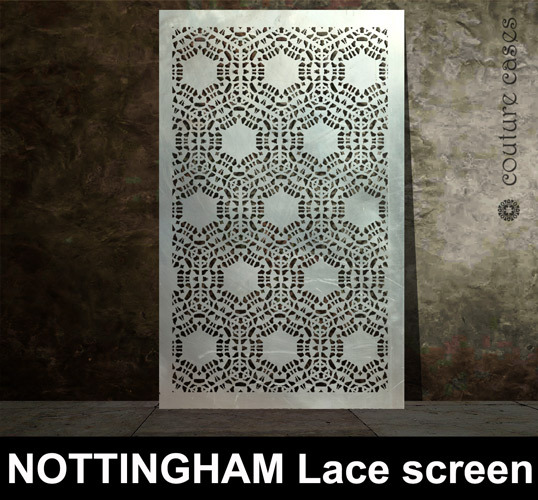 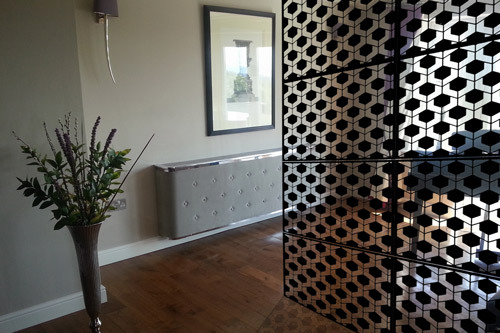 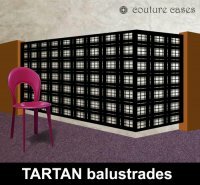 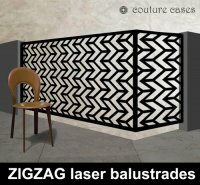 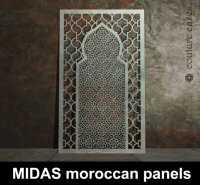 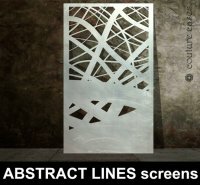 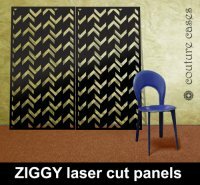 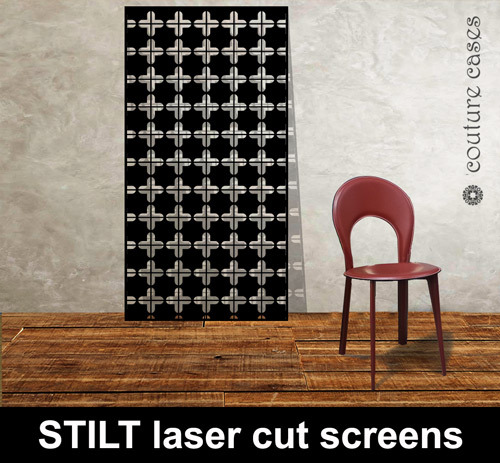 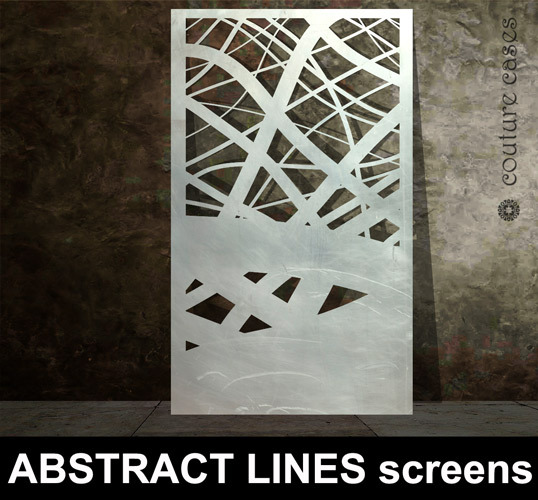 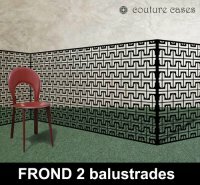 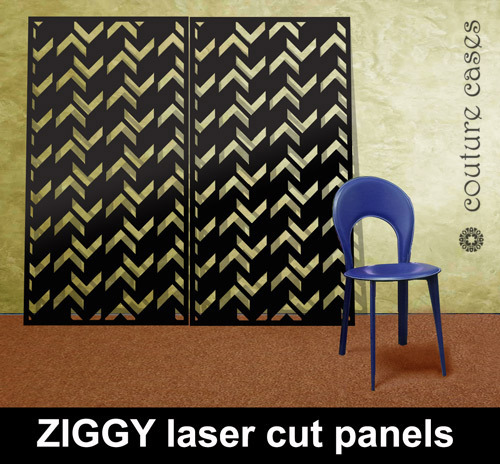 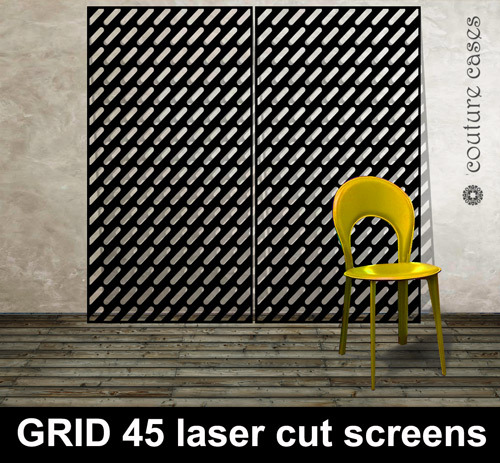 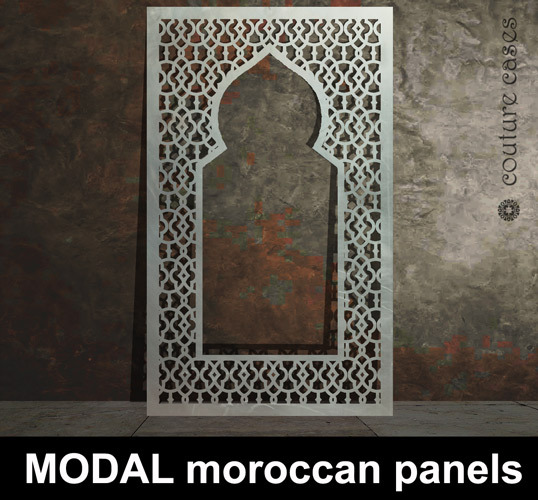 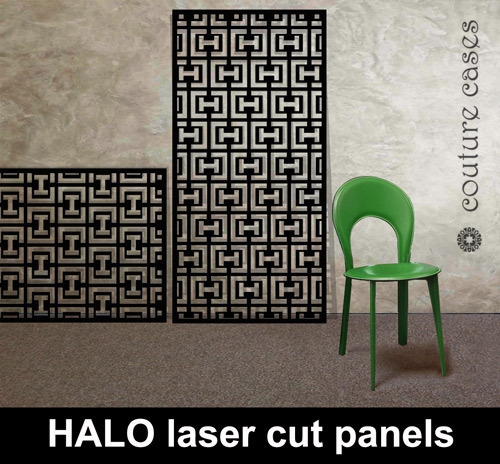 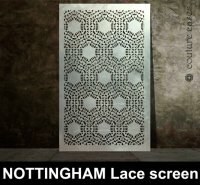 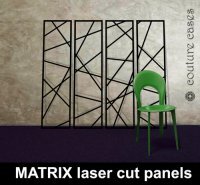 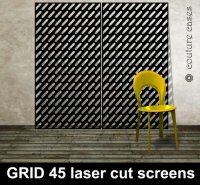 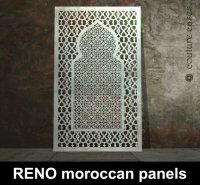 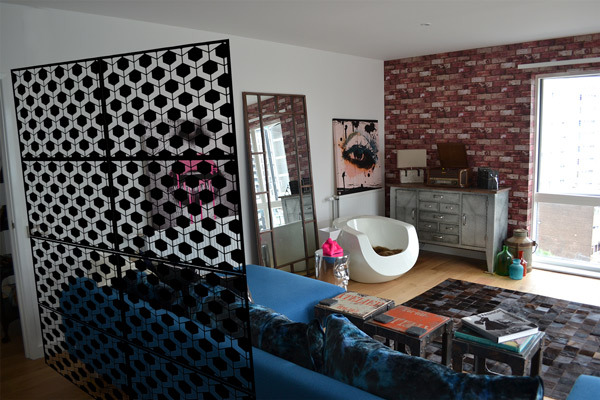 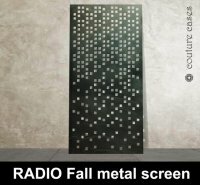 Couture Cases design and manufacture bespoke architectural metal screens and laser cut panels for home and commercial interiors. 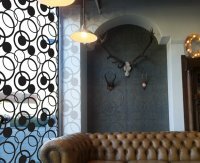 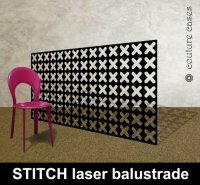 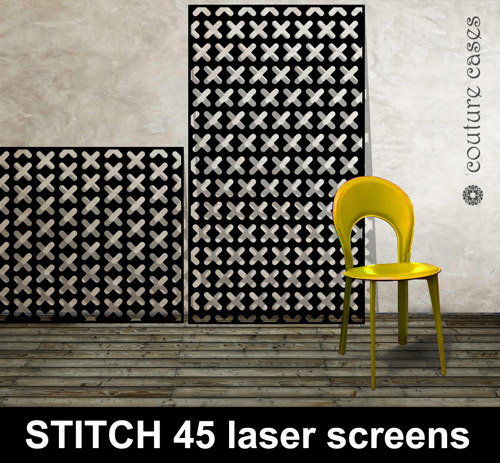 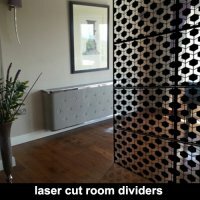 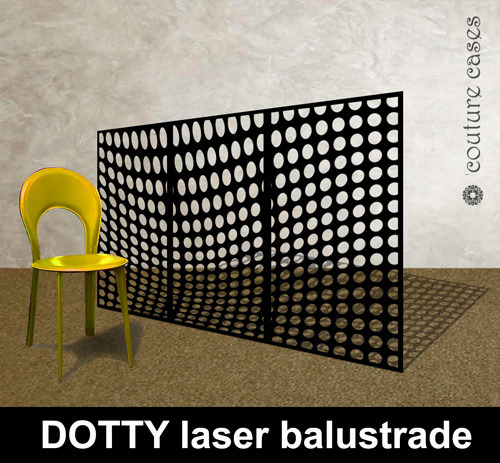 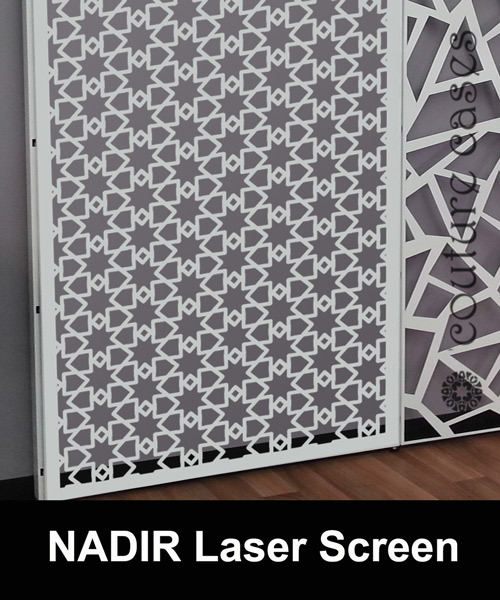 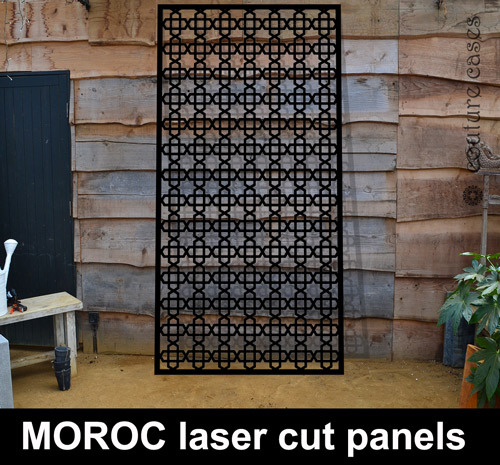 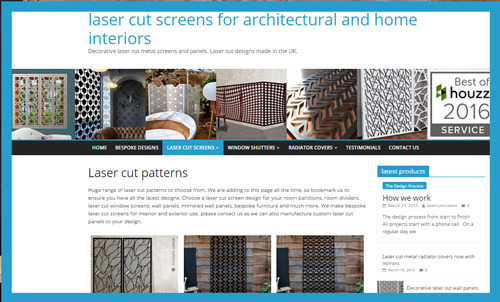 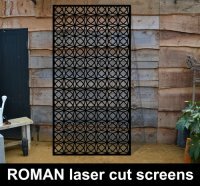 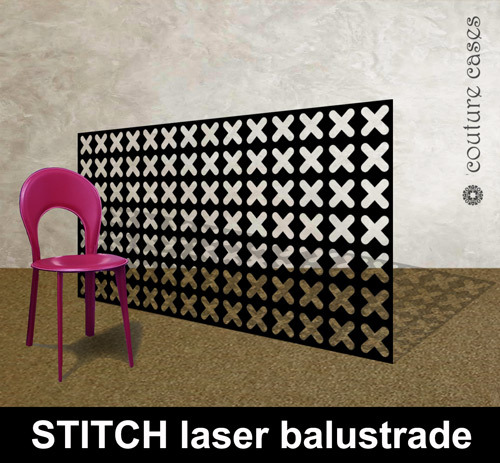 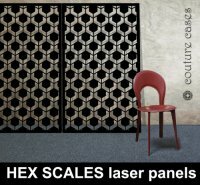 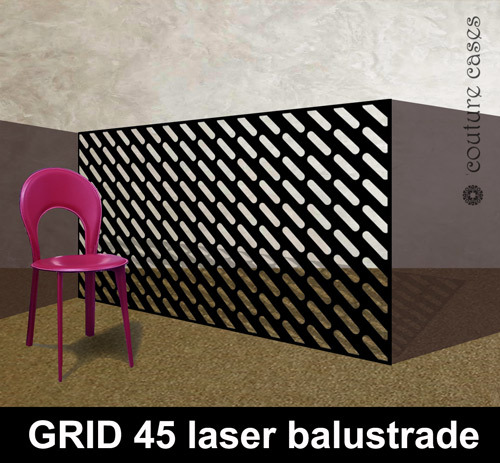 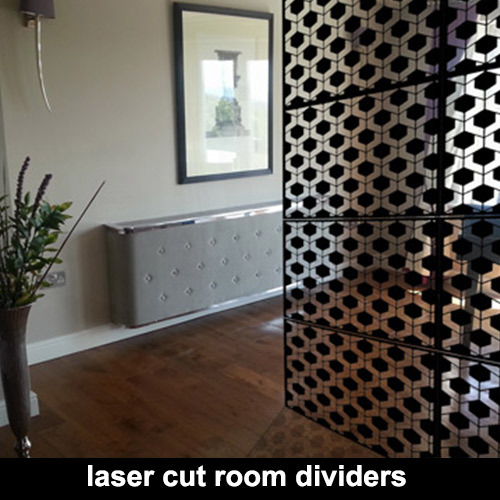 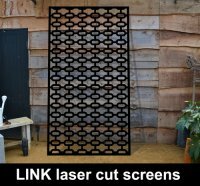 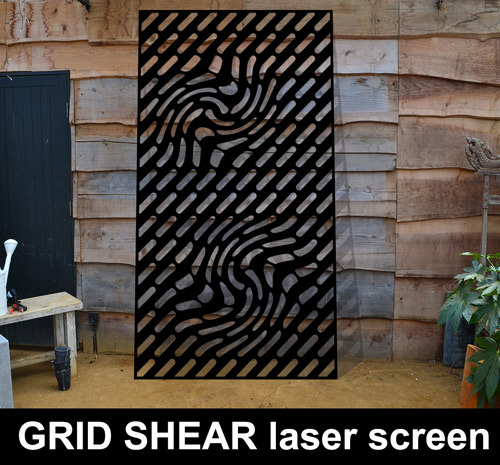 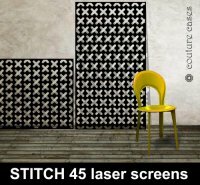 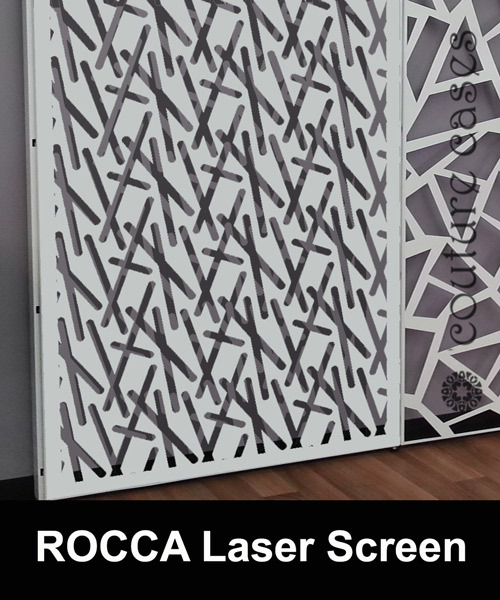 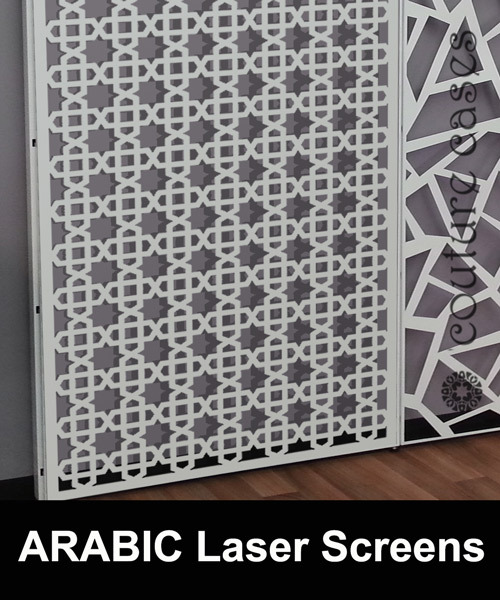 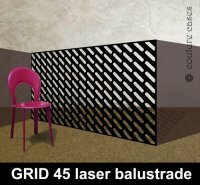 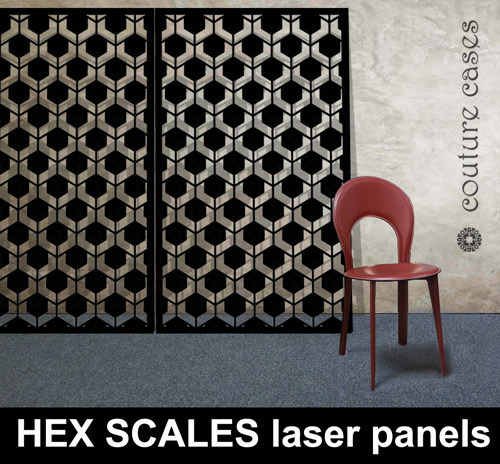 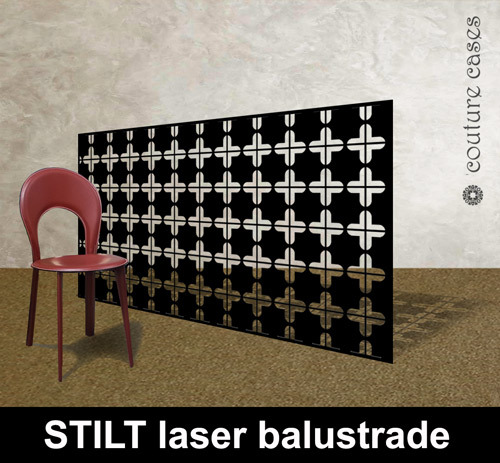 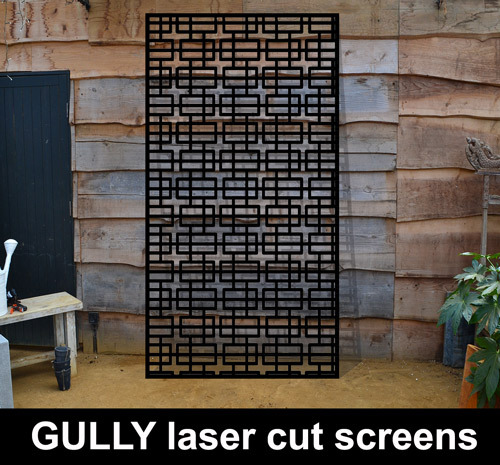 Created by our award winning design team with fabulous customer testimonials, each perforated laser cut screen is made to measure, of the highest quality, and manufactured to your exact design here in the UK. 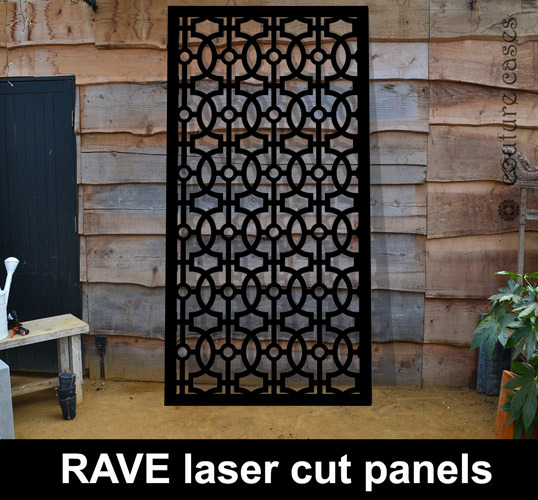 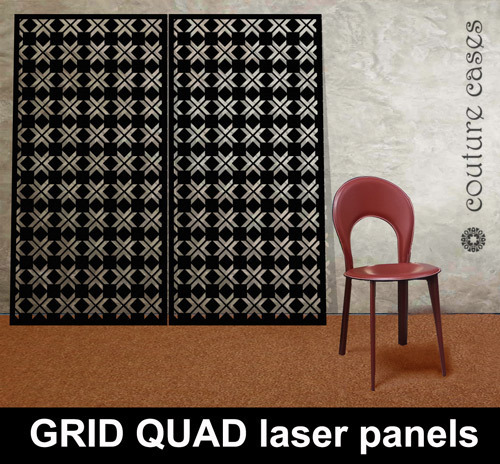 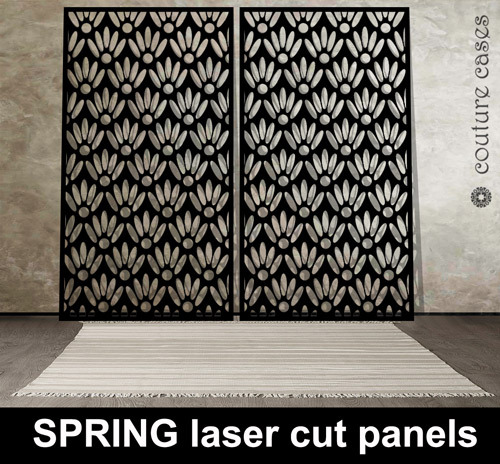 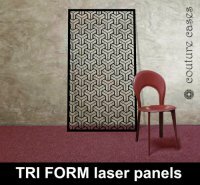 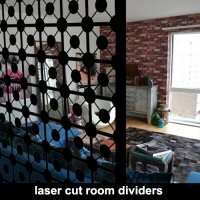 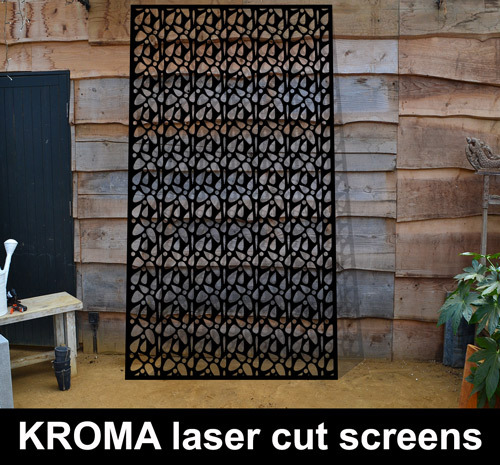 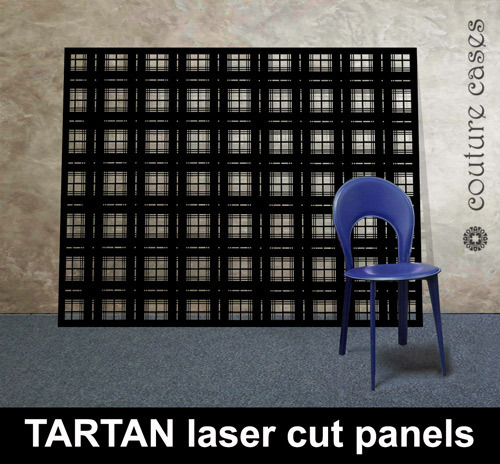 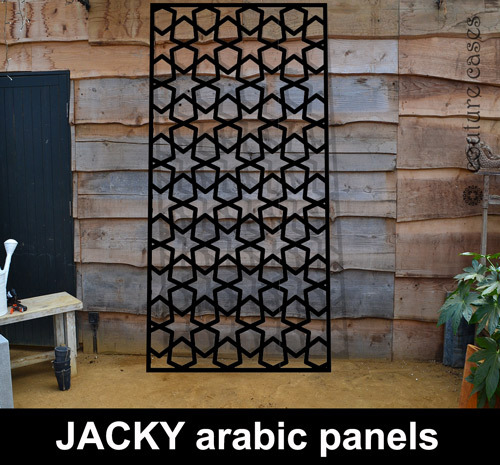 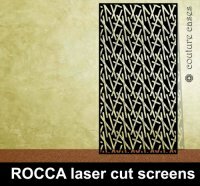 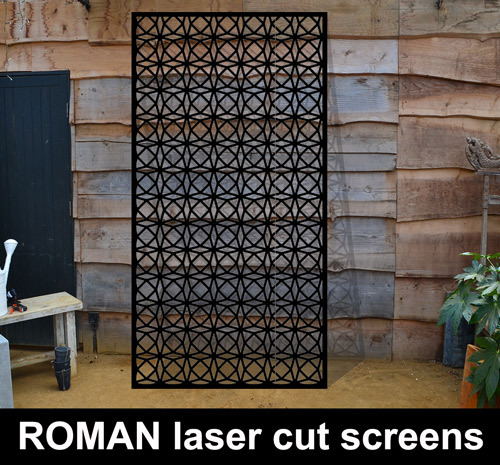 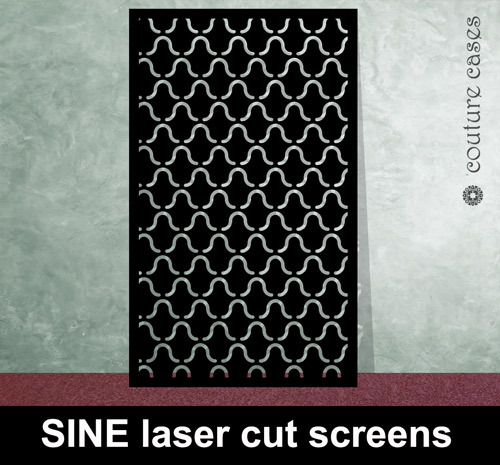 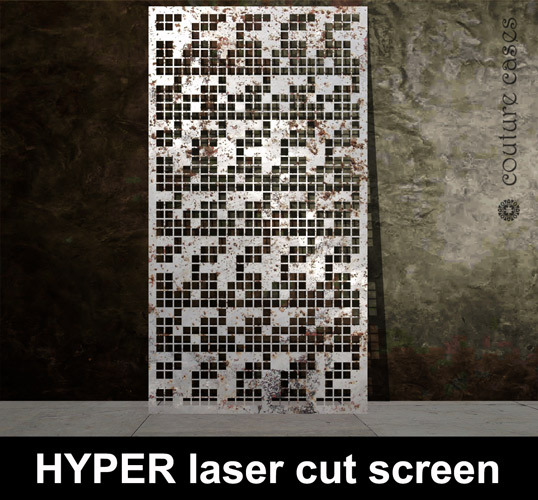 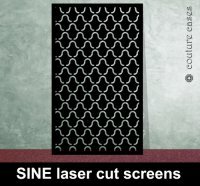 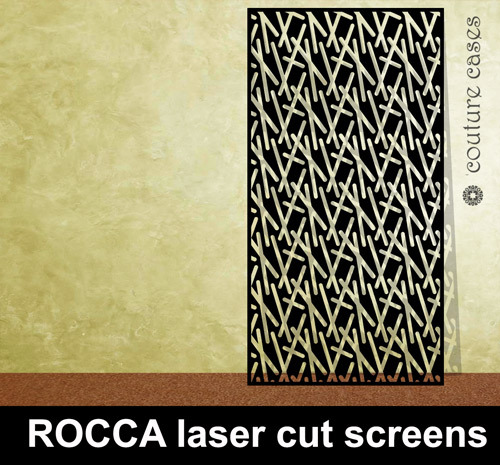 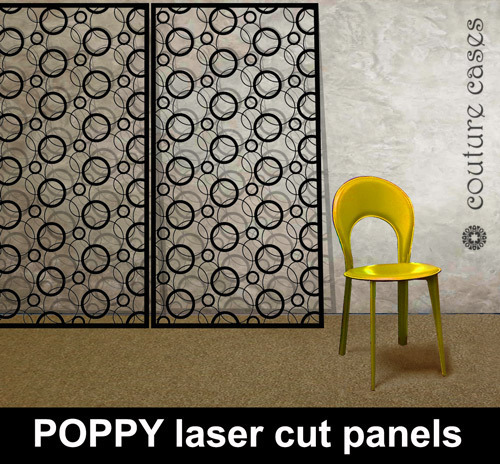 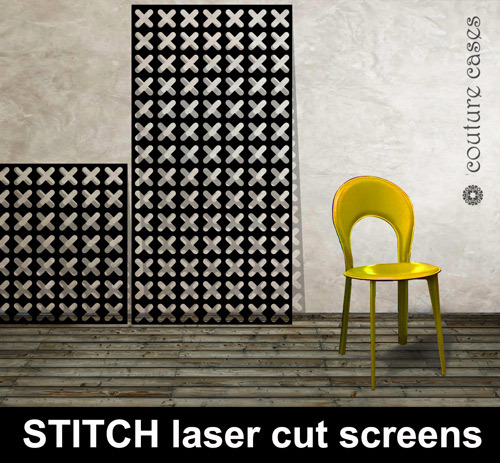 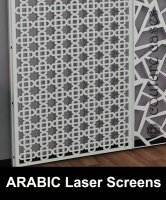 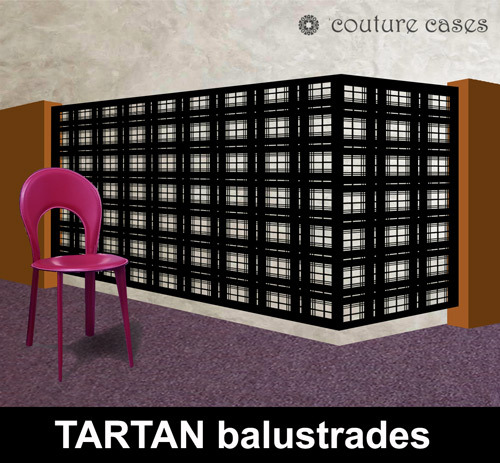 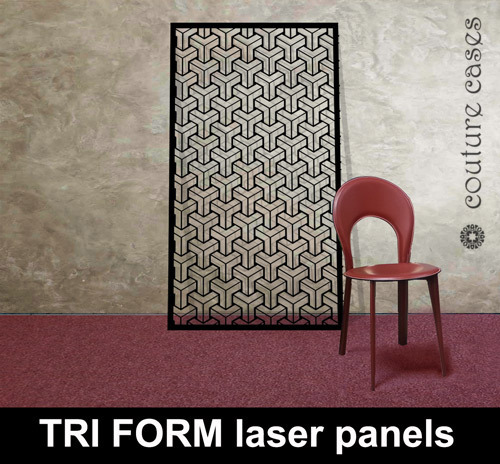 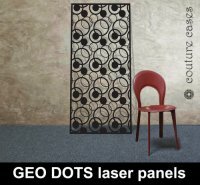 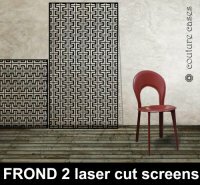 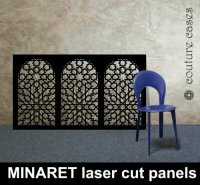 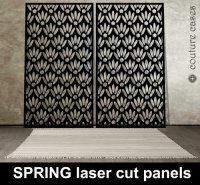 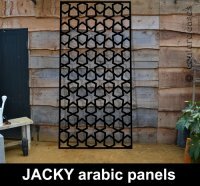 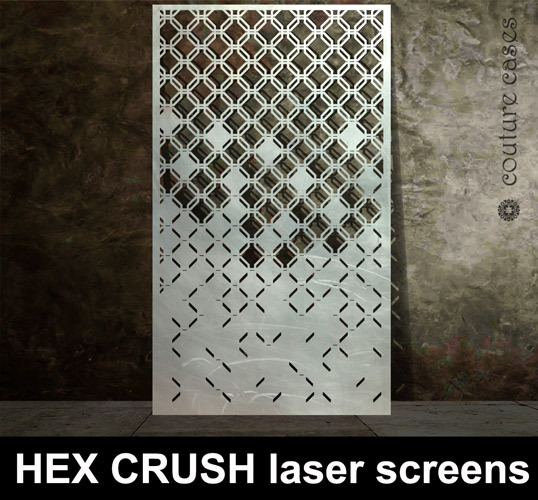 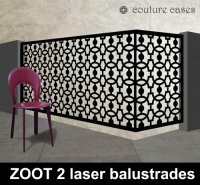 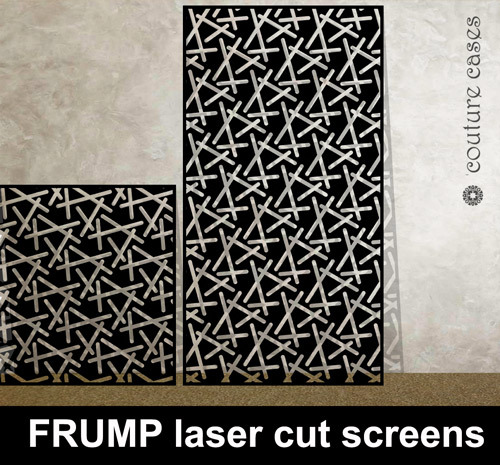 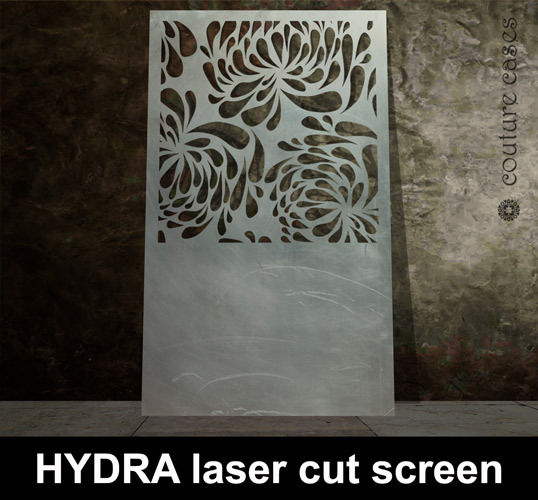 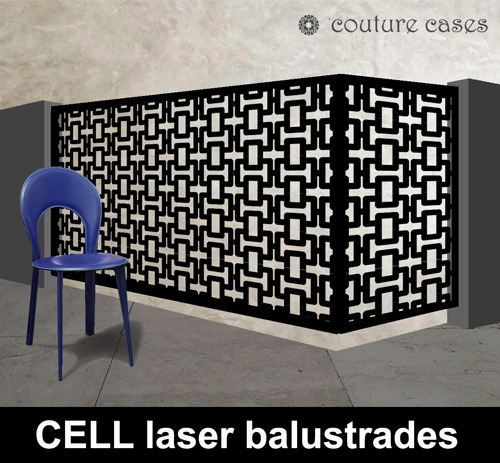 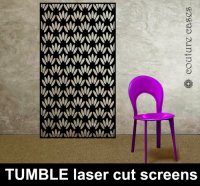 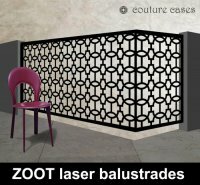 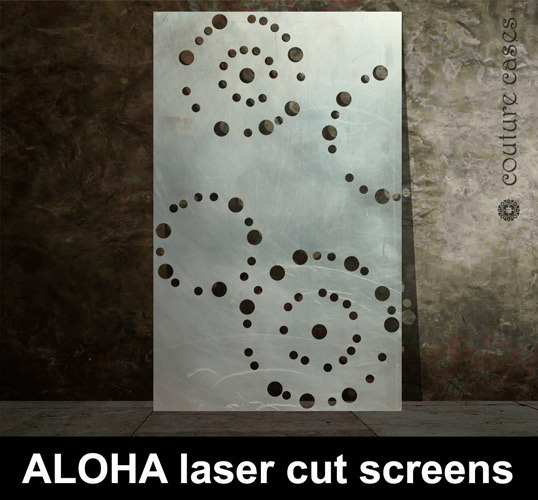 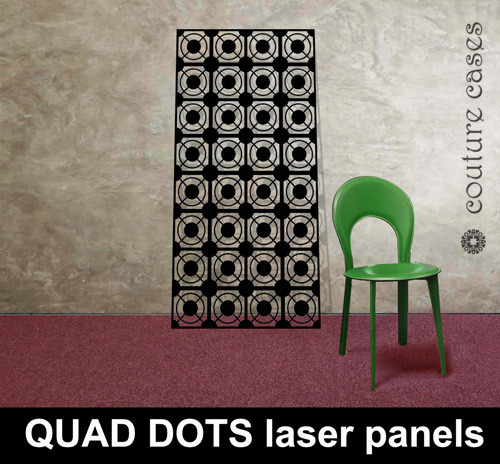 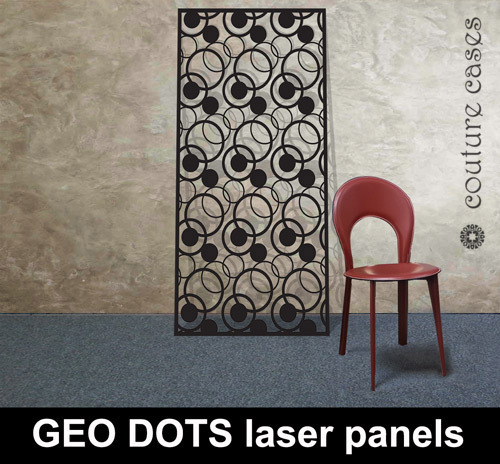 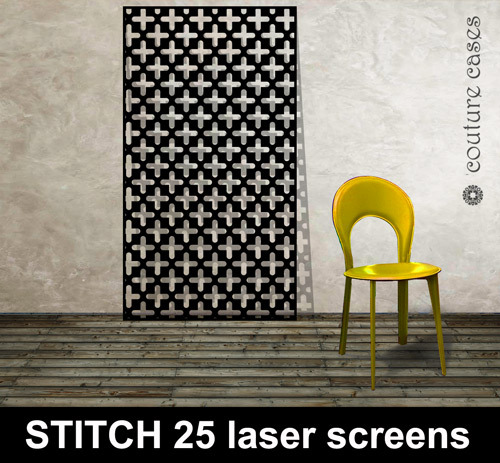 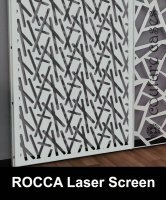 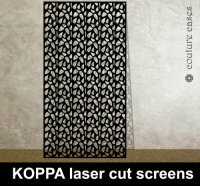 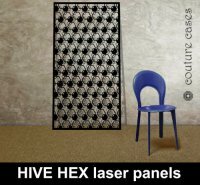 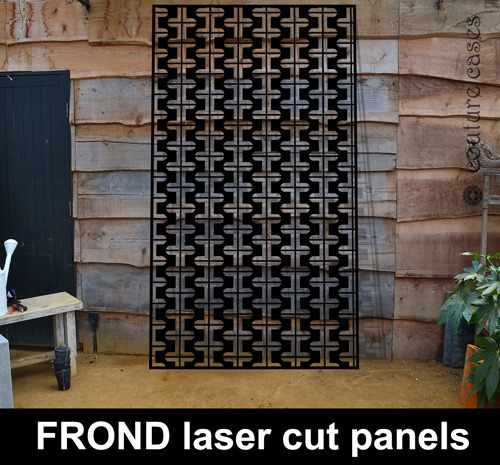 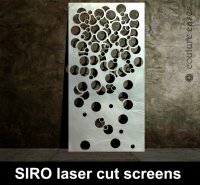 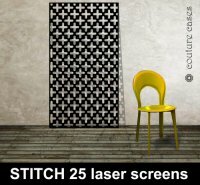 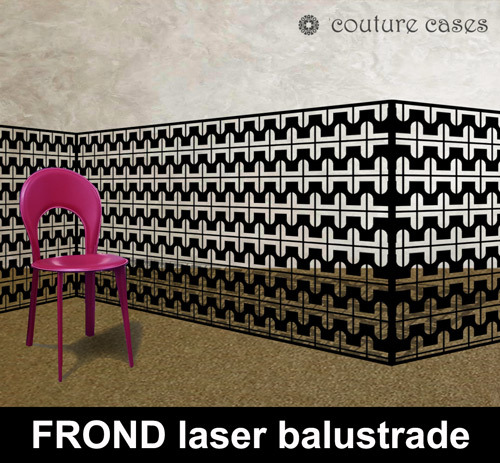 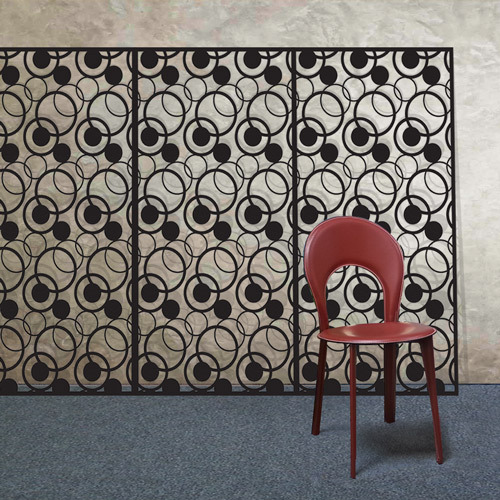 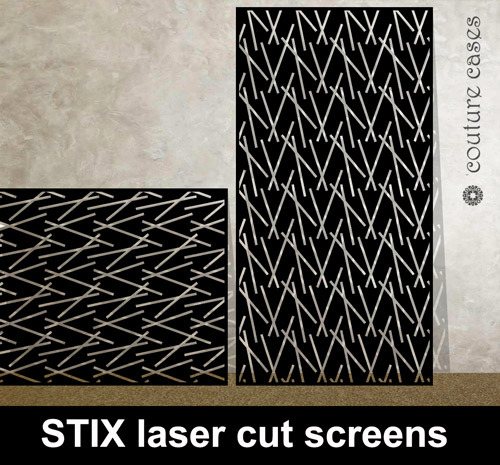 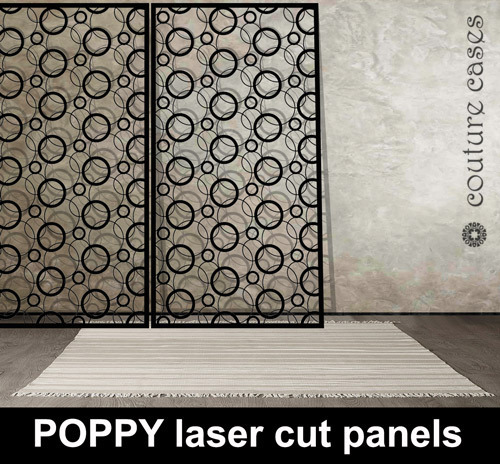 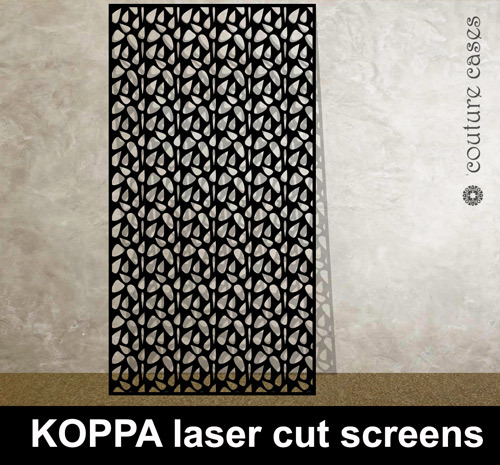 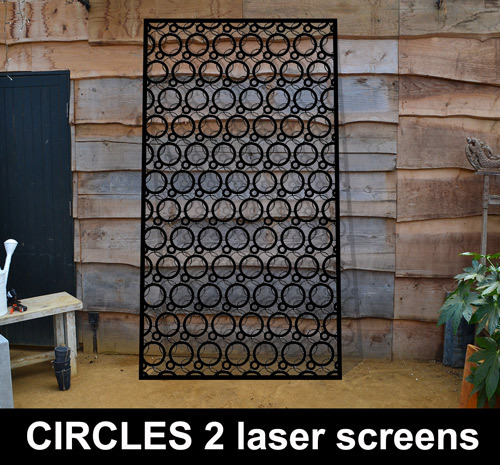 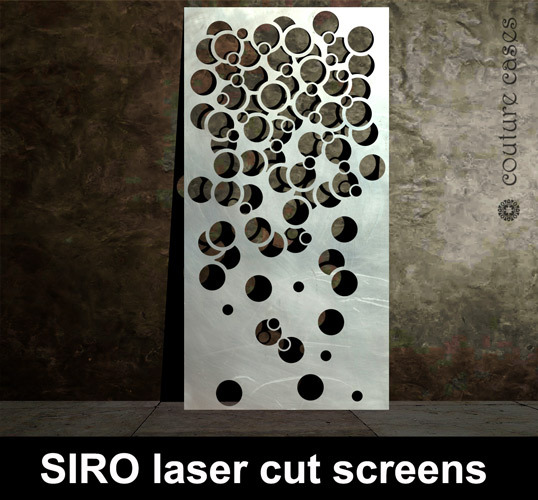 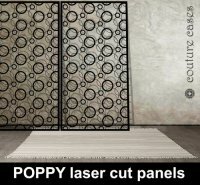 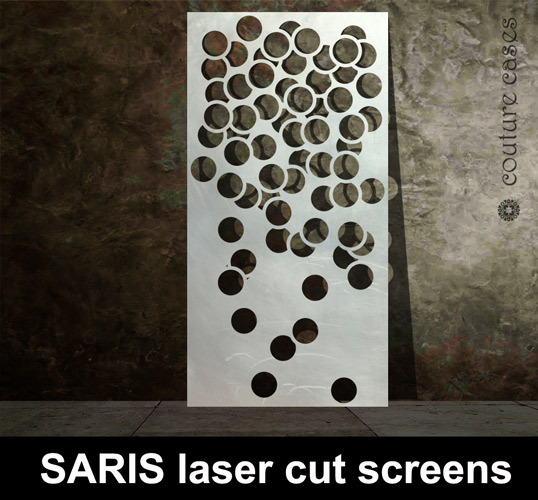 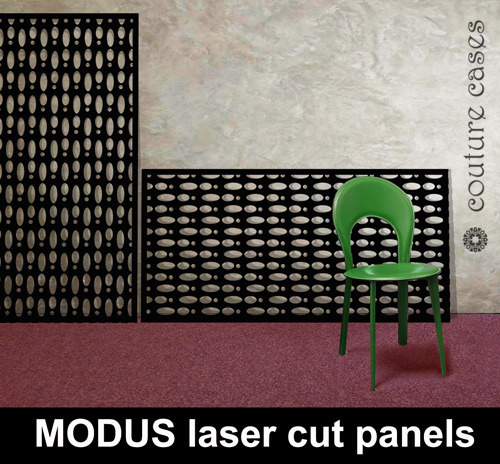 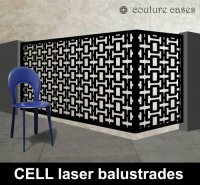 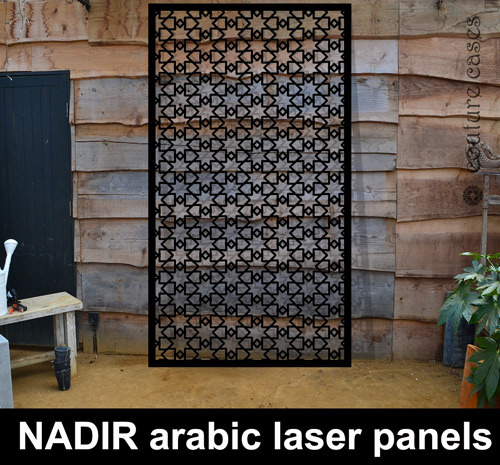 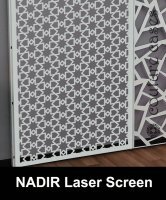 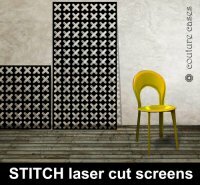 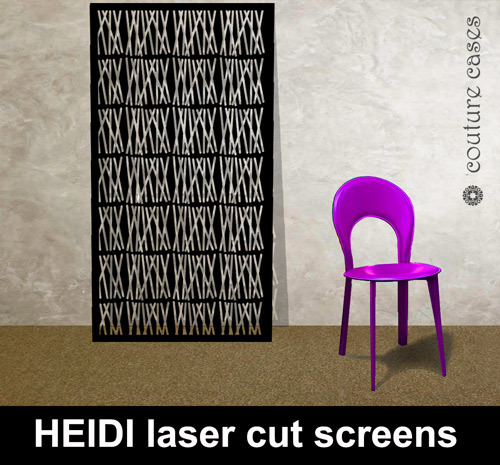 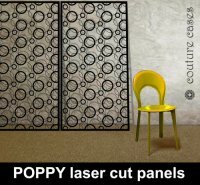 Laser cut patterns are perfect as decorative window screens and privacy panels. 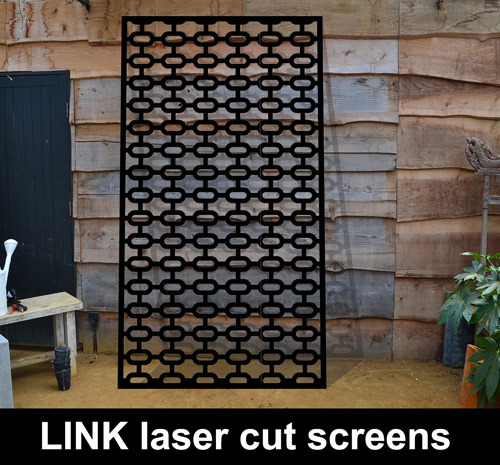 Each screen is custom made to your exact requirements and can include hinges or lift off features (dependant on frame and location). 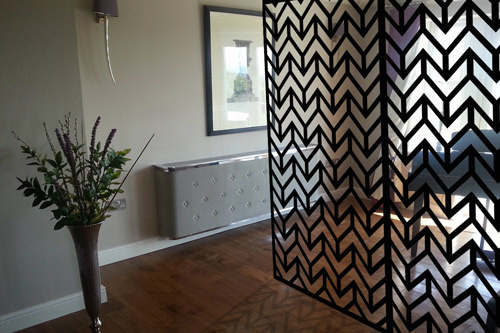 We pride ourselves on our customer testimonials, and work closely with every customer to create the perfect made to measure architectural screens, security and privacy panels. 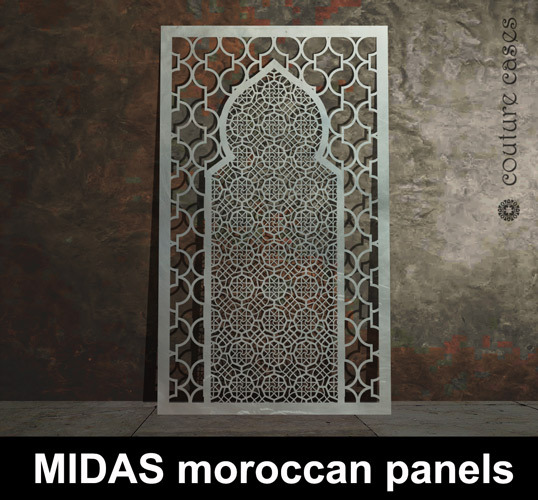 Perfect for any room in the house, for the first time you can create a fully coordinated designed interior, without having to compromise with mass market off the shelf mdf panels. 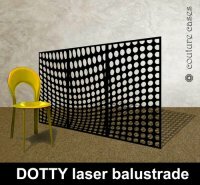 We are a unique company, creating unique products of the highest quality, with fantastic performance. 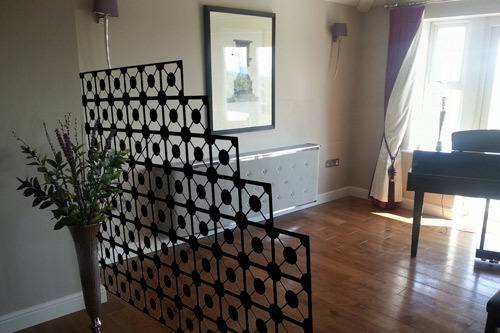 With many different colours and panel styles to choose from you can now create a design statement in your hallway, stairwell, dining room, kitchen or conservatory with an unlimited selection of designer modern room partitions to choose from. We can create bespoke room partitions and decorative screens to your own design as well, often able to incorporate your company logo, brand, family name or crest. 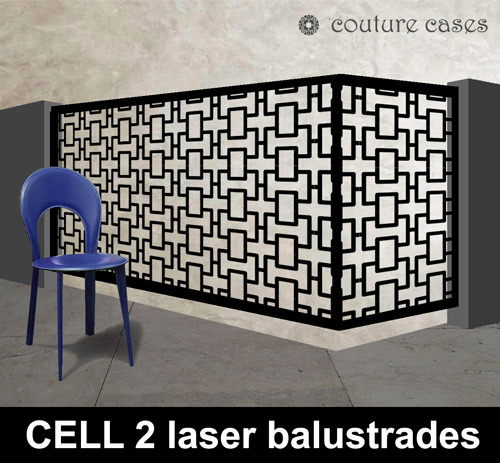 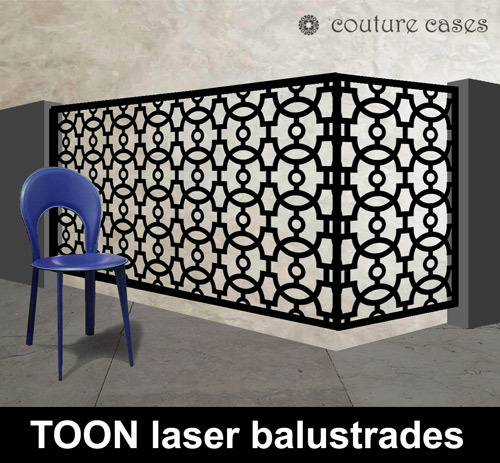 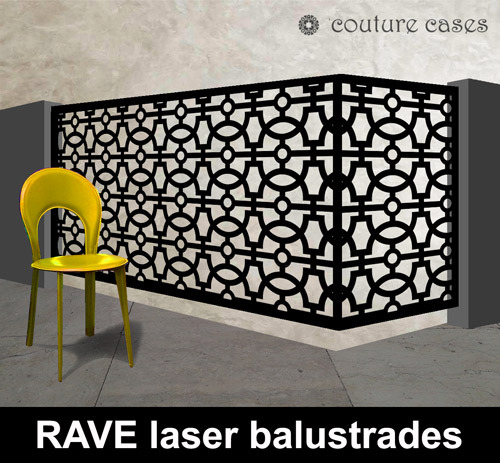 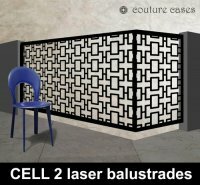 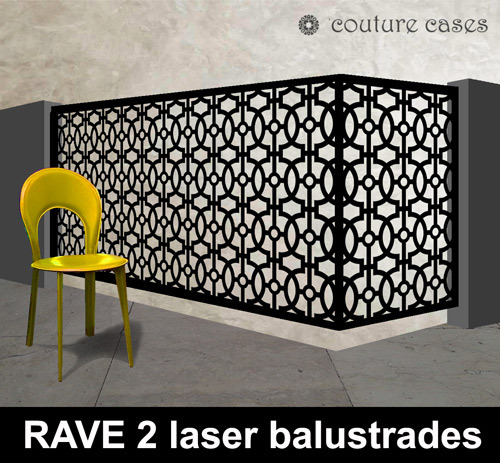 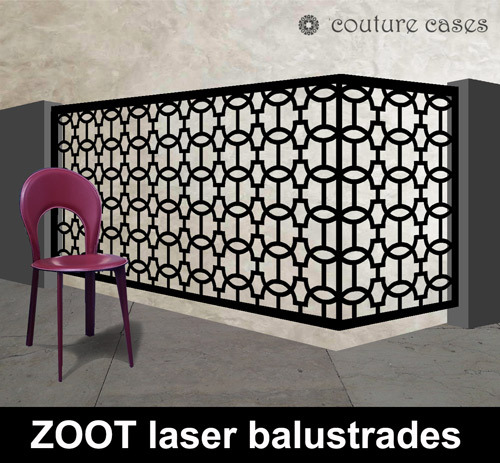 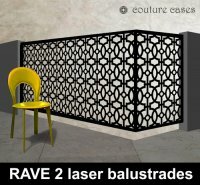 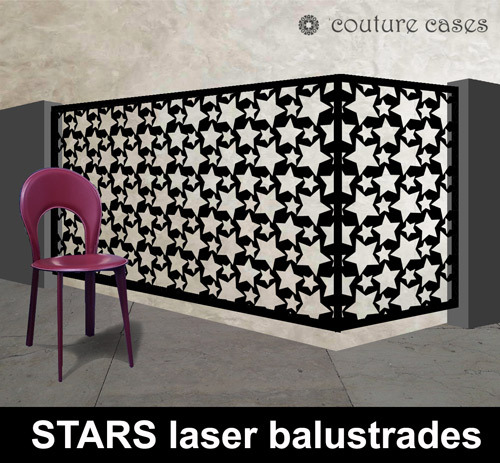 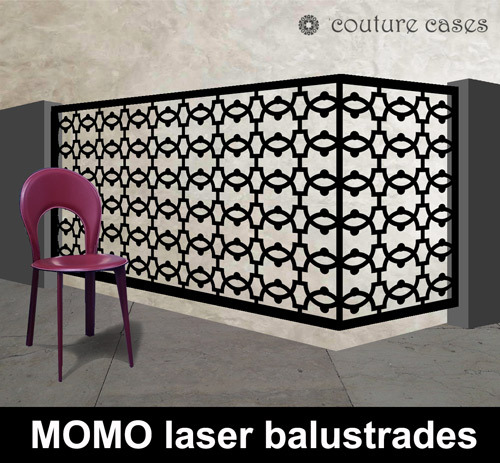 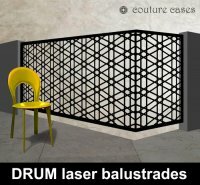 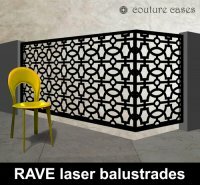 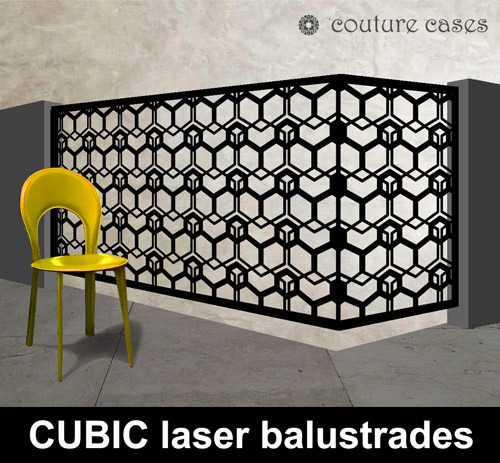 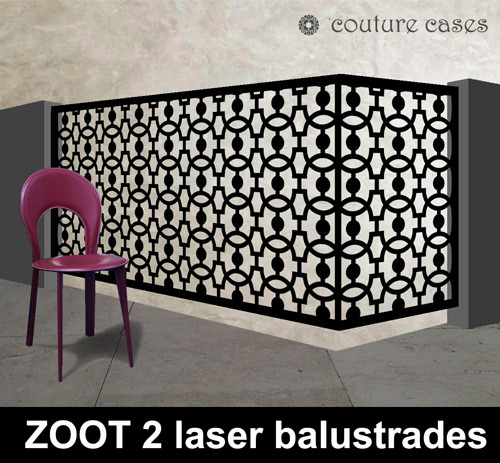 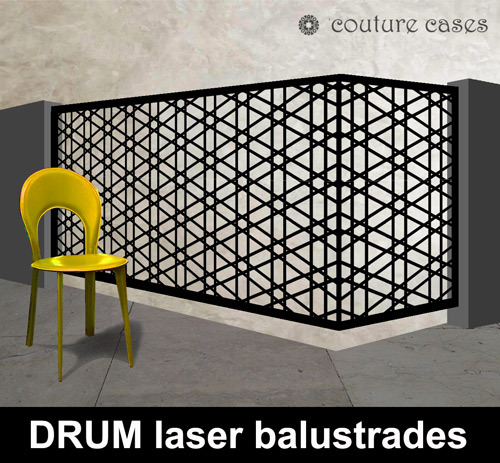 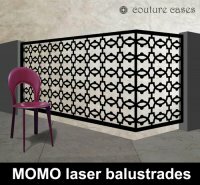 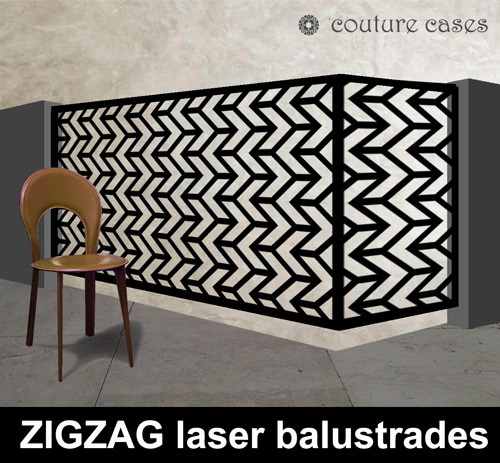 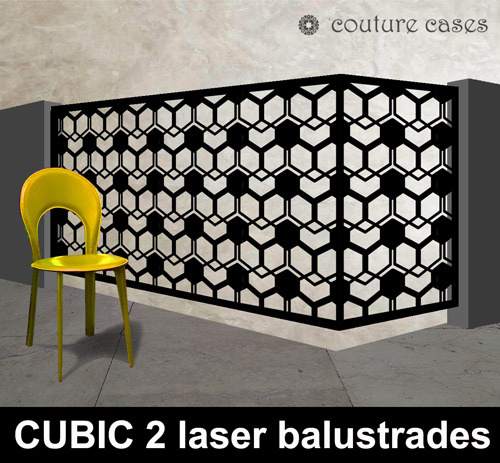 We design and manufacture laser cut metal balustrades in lots of designs. 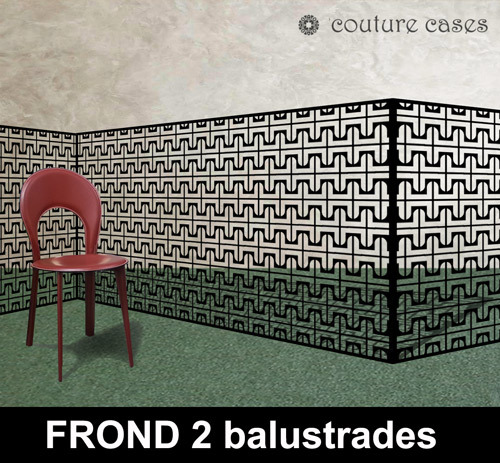 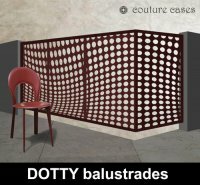 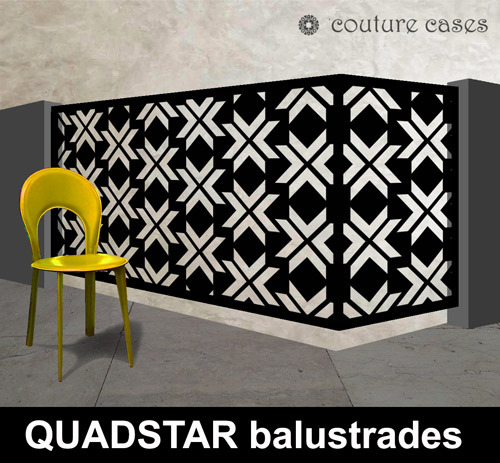 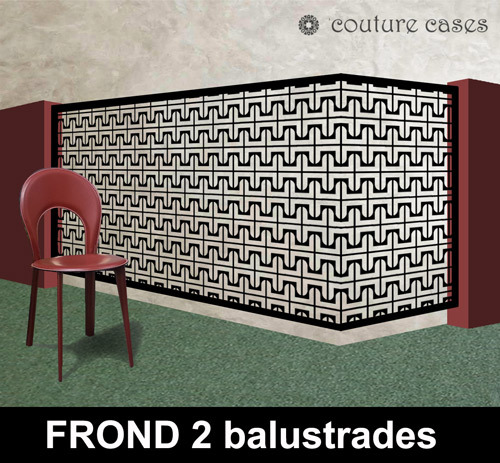 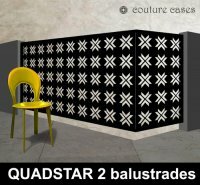 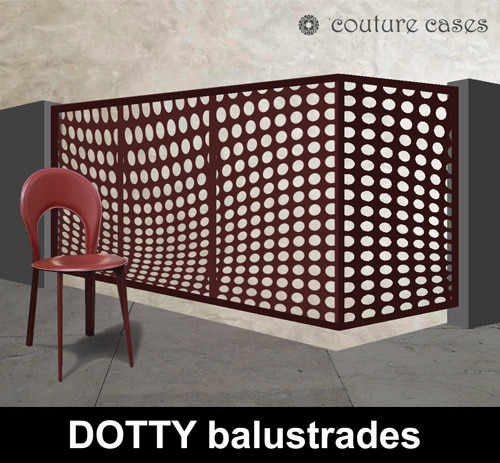 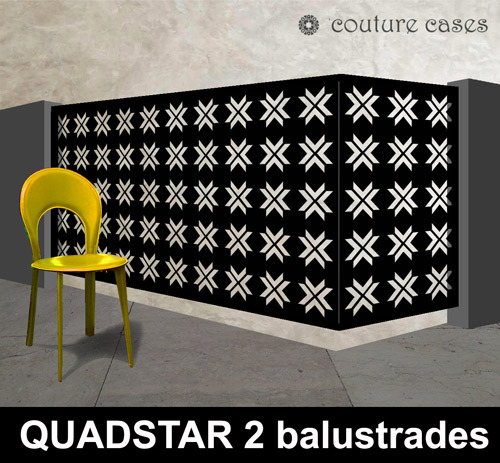 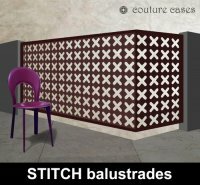 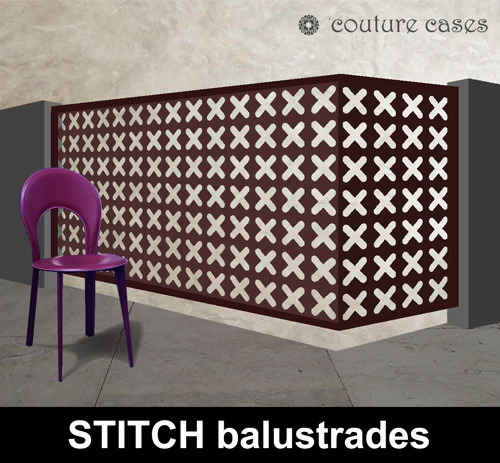 We add to our balustrade patterns regularly, the gallery below showcases a small range of our designs. We manufacture all framing, standoffs, fixtures and fittings, and work closely with every customer to ensure fixings and framing is as discrete as possible. 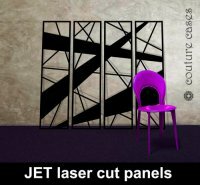 Available in any RAL colour, with selected anodised aluminium colours for the colourful metallic effects. 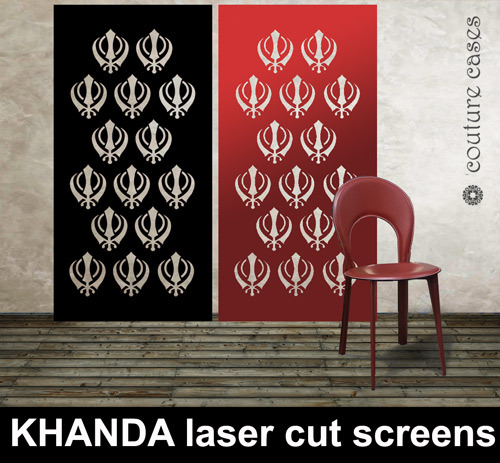 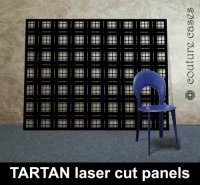 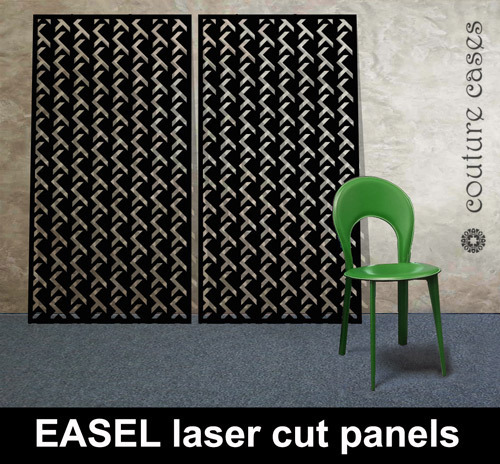 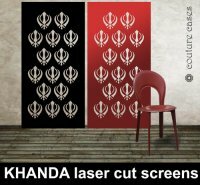 Choose from a huge range of laser cut shop displays which are perfect as back drops and decorative screens. 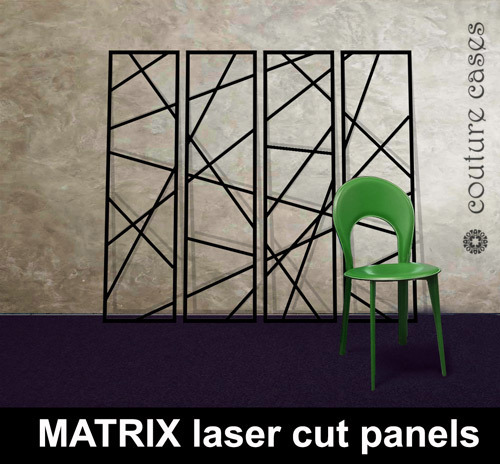 With over 60 designs to choose from you can also incorporate shelving, lighting, hangers and rigid standalone features. 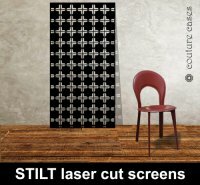 Contact the design team for more information. 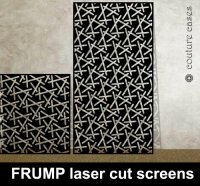 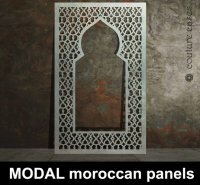 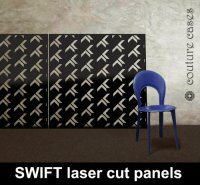 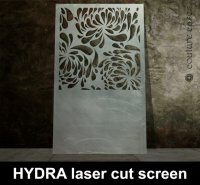 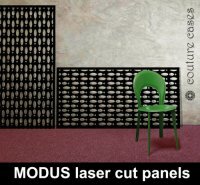 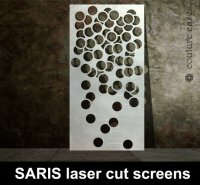 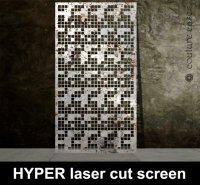 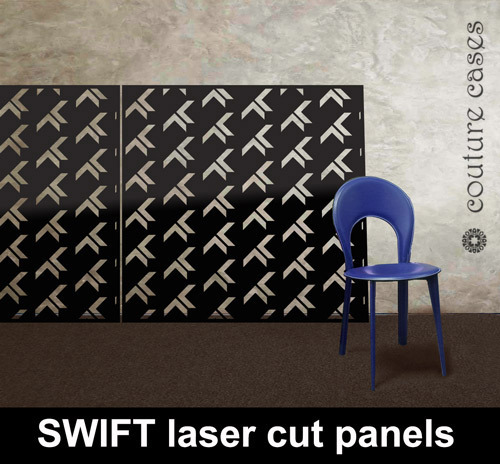 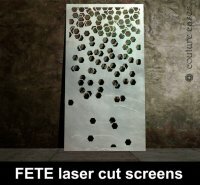 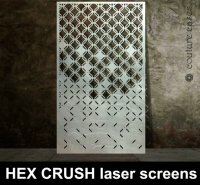 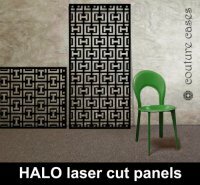 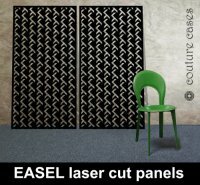 We can incorporate a unique company logo or any design into a laser cut panel (with only a few exceptions depending on complexity or size).